Staying Fit and Fast After 50!! Great article on the benefits of staying fit and fast after 50! 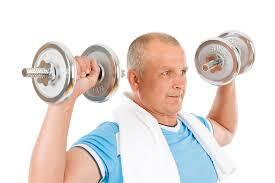 ~ Most people should be able to pursue high-intensity workouts well into life. Proven fact – You will live longer with high-intenisty training than if you adopted a long-slow-distance approach. ~ Decreases in performance are a result of a slowed hormone production in men and women. These have a lot to do with damage control and proper RECOVERY. ~ How to combat these finding: high-intensity interval training – strength training with some form of heavy loads – adequate protein intake – lots of SLEEP.